When it comes to the health of myself and my family. Yet every time we came down with an ailment or affliction, that’s exactly how I would feel. Now don’t get me wrong, I’m a big fan of modern medicine in certain cases. If I’m ever in a car accident or have a broken leg, I’ll be pleased-as-punch to be in the hospital. I’m very thankful to live in a era where we have access to knowledgeable doctors and nurses. But what about preventing some of the horrible diseases that afflict our society? Or helping my body heal itself? Or fighting infection without wiping out all the good bacteria in my gut? Those were the questions that weren’t getting answers. A whopping $45 trillion per year is spent on health care world-wide, yet our culture is sicker than ever. The USA is one of the biggest spenders on the entire globe when it comes to healthcare, yet it ranks 37th on the list of the world’s best healthcare systems. It’s hard to deny the power of plants, and humans have been using plants as medicine for thousands and thousands of years. Clove oil & rosemary oil were the most popular essential oil produced during the middle ages. If you’ve ever opened the lid of a bottle of essential oil, then you are well acquainted with the powerful aroma that they carry. But don’t let the tantalizing scents fool you—these little brown bottles are much more than mere perfume. 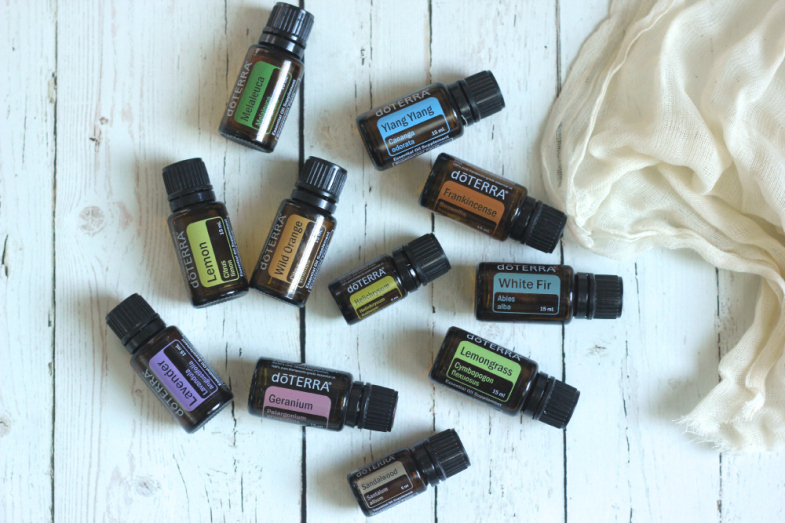 Essential oils are powerful and have a mind-boggling array of uses. They provide have many natural properties that can benefit the body in many different ways. Herbal essential oils have anti-bacterial, anti-fungal, anti-tumoral, anti-parasitic & anti-septic properties. They are unique in that they can cross the cellular membrane because their molecules are lipophilic, which is pretty amazing since anti-biotics cannot do this and therefore, have no effect on viruses. For a long time, I used essential oils as all-natural perfume or to make my home smell pretty, but I now use essential oils on a daily basis in every area of my home. My medicine cabinet has been completely transformed, and I am now empowered with the tools and knowledge to care for my family. If you have been a long-time follower of our blog, you know that we don’t like to be extreme in ANYTHING. We believe that eating real food is the best thing for our bodies, but we also believe in traditional medicine, and that includes essential oils. There is a lot of discussion about different essential oil companies, and I’ve spent hours researching all the different options. But I have come to the conclusion time and time again that doTERRA is the company for me. They are outrageously committed to sourcing the best oils in the world and providing us with top-of-the-line quality. 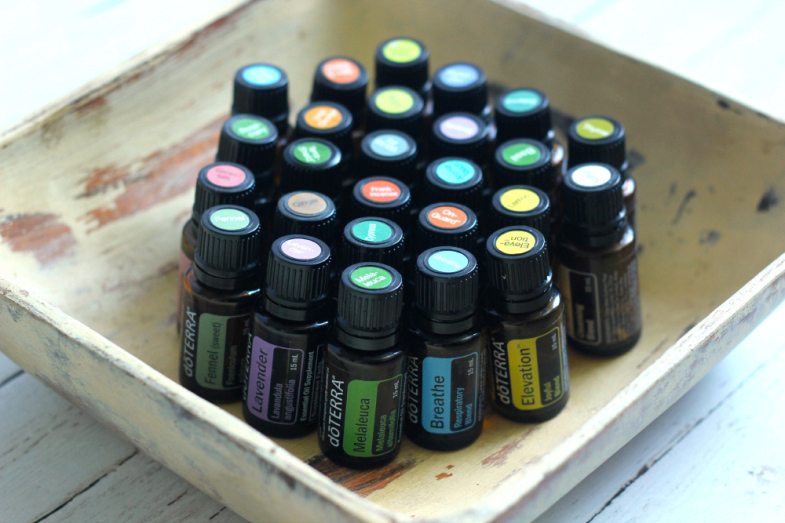 doTERRA essential oils are unadulterated, chemical-free, and incredibly effective. The best way to get started with essential oils is to SIMPLY START USING THEM! We here at Full of Graces use doTERRA essential oils. In fact, we are both Wellness Advocates with the company. Over the next few weeks, we will be highlighting our favorite essential oils and give you the low down on their many, many uses. We are so excited to share them with you! I’d like to learn more about essential oils! Dude. You should totally join our essential oils facebook group. We are just starting, but we will have all sorts of fun in there! I just went to an EO class this summer on oils from the Bible put on by some DoTerra ladies. My elderly neighbor is on an antibiotic regimen they call “maintenance”. That means she just takes one every day forever. No wonder all she does is go to doctors! Yes. Our health system is absolutely broken. (I would buy from you but I already have a local distributor). This is a really random comment. Sorry. I just found the EO of the Bible class! I am so excited to share it! And it’s ok. We do random around here. It was an awesome class. You’ll have fun doing it i think. I love learning about options other than pharmaceutical chemicals! I take turmeric every single day, not an essential oil, but just thought I’d share of one my favorite things. PS I really love your layout, Can I ask what you did to get the different fonts/sizes? Was it an upgrade? I’m so afraid to upgrade but yours looks so nice! Thanks! It’s one of the free themes, called Hemingway. We did change the fonts and added the picture. It was time for a change, for sure.The good thing about the themes is that you can preview them before you apply.